It's the hottest news of the day: Disney's Frozen is getting a sequel. Although it seems as if Kristen Bell, the precious Princess Anna, is on board and Josh Gad is definitely confirmed, it's unclear if their cast mates are joining in on Frozen 2. 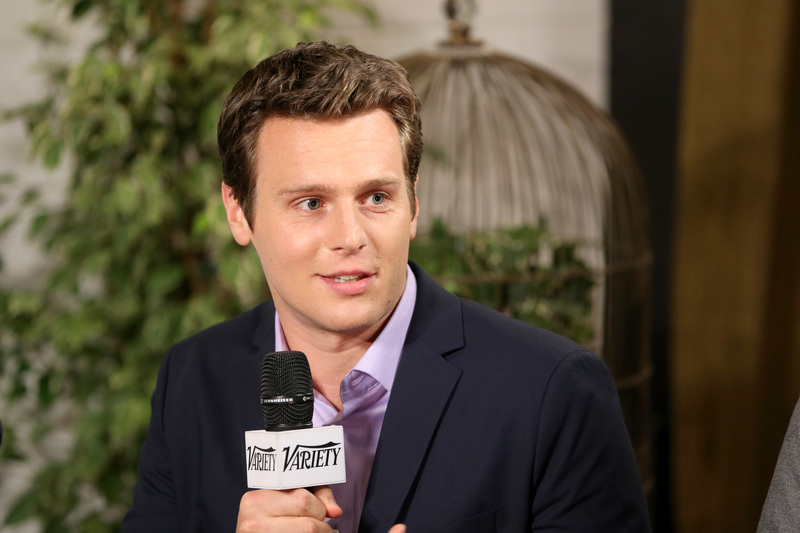 This includes original Frozen star Jonathan Groff, the voice behind Anna's fixer-upper love interest Kristoff. Will Groff return to the franchise and finally unleash his beautiful voice? Groff hasn't been inactive since the film's release two years ago. Some of you know may have already known him for his recurring role on Glee as Jesse St. James, and, more recently, his role in HBO's Looking as Patrick. But as he passed on reprising the role of a Broadway adaptation of Frozen, is it possible he would back out of the sequel? Though nothing is set in stone to date, I'd say there's a fat chance he'd pass it up. Truth is, kids, it would be a BOLD move to forsake possibly the biggest Disney film of all time, and he seems to generally embrace and respect Kristoff as a character (he only didn't want to play him because he didn't feel he was as "hot" as his character). All signs point to probably. But if you're genuinely losing sleep over this, let me reassure you with supportive reasoning. Because Groff is already reprising his role for the mini-feature Frozen Fever. The new Disney animated short is debuting March 13th in tangent with the live action Cinderella film, and though details are scarce, we know that Kristoff is involved in the proceedings for Anna's birthday. He even paints the little happy birthday sign! So it's evident that Groff hasn't gotten weirdly resentful of the character, as some actors are wont to do when a film reaches excessive popularity. Because writing out Kristoff and Anna's relationship, although not impossible, would be tricky. I'm all for independence, I'm all for depicting rocky, realistic relationships, and I'm of the belief that not every happily ever after ends with the SECOND guy you fall in love with (it's like... the eighth, if you're lucky). HOWEVER, feminist platitudes aside, this is a Disney film. I don't think they're looking to delete the central romance entirely. Because, let's not be naive, Groff will probably get an ungodly amount of money for it. The first Frozen film earned over a billion dollars in box office ticket sales alone, marking it the fifth highest grossing film of all time. So we're talking like, more money than you and I will ever make in our entire lives... combined. I don't care how much fun he's having over at HBO, I wouldn't walk away from the financial promise of the sequel to the biggest animated cash cow of all time.